This is one of four videos directed by Kiwi-born Andrew Dominik for band Straitjacket Fits. The brooding, disdainful 'Cat Inna Can' was the first single from the the Fits' third album, Blow, recorded in LA after the departure of guitarist Andrew Brough. The meowing guitars are matched with circling, swooping camerawork, in a video shot in a Sydney warehouse and cooling tower. Dominik went on to direct acclaimed crime films Chopper, The Assassination of Jesse James by the Coward Robert Ford, and Killing Them Softly — the latter two starring Brad Pitt. 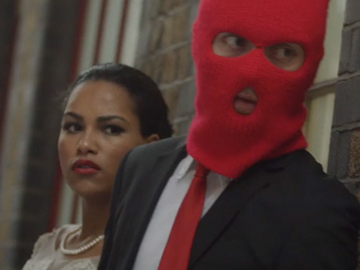 Set in London, this music video offers a Bonnie and Clyde-style tale, inspired by lyrics which contrast life for rich and poor, and speak of “churning butter into diamonds”. After opening with the discovery of a body in a wedding dress, the clip offers up a prelude to the death. The video contrasts the pair’s apparent romantic entanglement with their escalating crime spree, from petty theft to armed robbery. 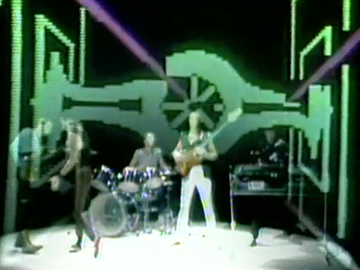 The widescreen clip was directed by London-based Kiwis Claire Littler and Ralph Matthews.